All levels Welcome! Students get invidivualized critiques at both beginner and advanced levels. 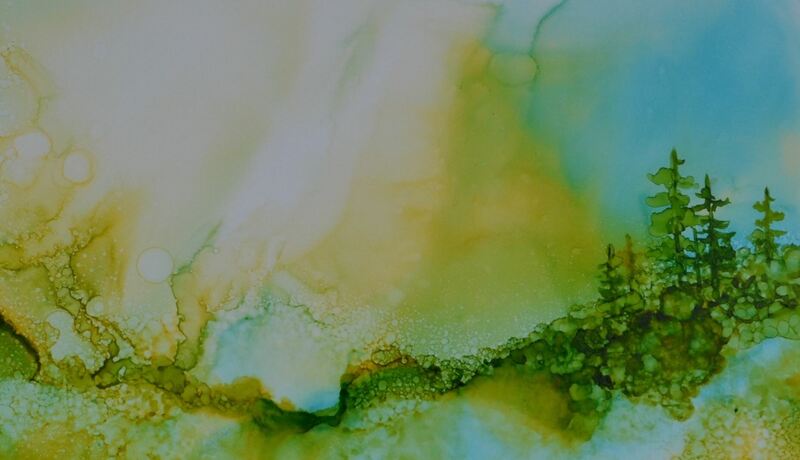 Class Description: Alcohol Ink is a highly pigmented and quick-drying medium applied by pouring, brushing or stamping on a non-porous surface such as Yupo. This workshop will explore the unique qualities of this painting medium that may be used for flowing abstracted works, representational images and subjects that incorporate both. 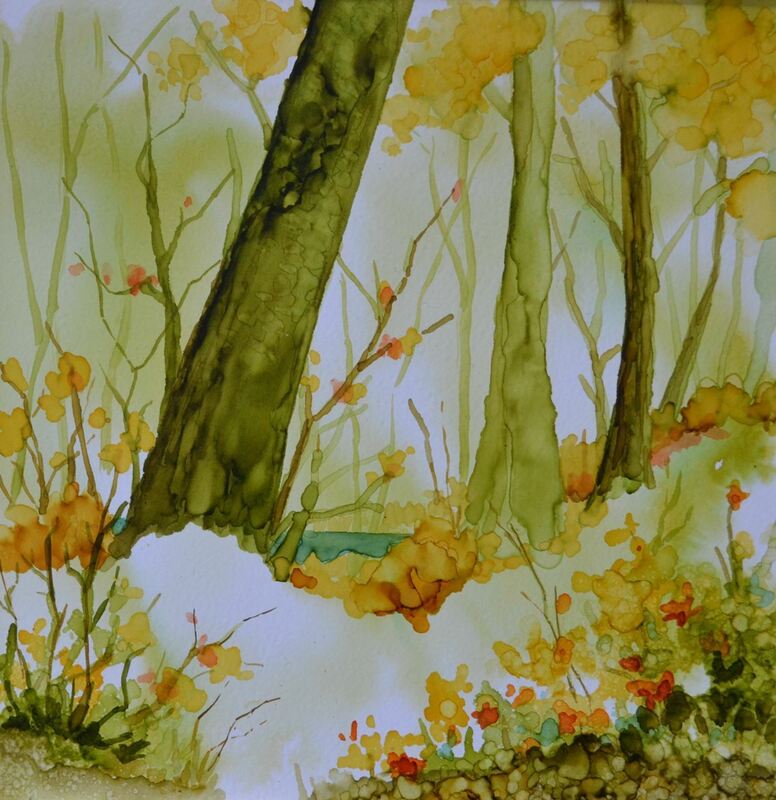 Landscapes will be the primary subjects during this class, taking full advantage of these vibrant colored inks that intermingle in ways that create unique textural effects, often with unexpected results.